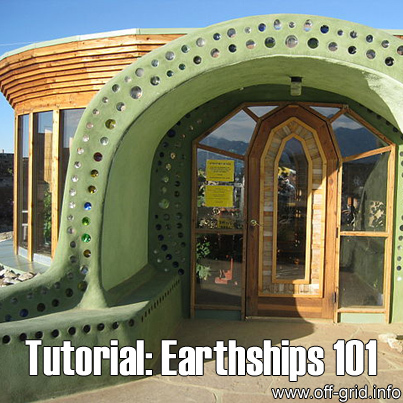 Here’s another feature about Earthships – sustainable homes for the future! 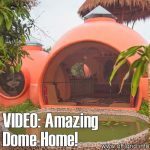 This video by Earthship Biotecture, part one of a series, takes us on a guided tour of an Earthship, showing all of the systems that make it one of the most environmentally sound building ideas to date – this one has no utility bills to pay at all! Earthships use a “passive solar design” (ie all of the windows are on the south side) to make the most of heat and light from the sun. Building thick walls from used tyres and earth gives them a large thermal mass that will absorb heat and make a dramatic difference “evening out” the temperature – helping the house to keep the house warm in winter and cool in summer. 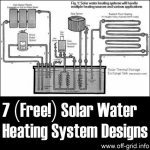 In some instances, this is so effective that no additional heating or cooling is required! Additional power is supplied by solar and wind generators. The water recycling system is very efficient – rainwater is harvested and used water goes for irrigation or is treated within the home. So it’s possible to live completely off-grid with a set-up like this! 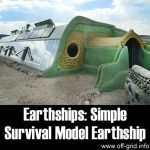 Another bonus: Earthships can provide a safe structure in areas where extreme weather is likely; they are made partly below ground, with very thick walls – so they can stand up well to hurricanes. They are currently being made in areas of the Philippines, following the recent typhoon disaster, and even on Easter Island! 40 million tyres are discarded yearly in the UK alone! An average Earthship home takes around 1,000 tyres to make – which means you have a free material to use in up to 40,000 houses a year! Where can you get that many tyres from? Scrap yards tend to charge even for old tyres, some of the bigger garages will not give them away as they have already contracted for them to be removed. One of the best ways is to go to smaller garages or independent suppliers – they are generally more willing to give them to you for free. It’s worth paying a small amount for a load so that you can obtain a receipt, which must declare that the tyres are “part worn” rather than waste (they are intended for re-use after all!) as you would need a special license to handle waste.